Any Pitt student who has lived in Nordenberg or Panther Hall — or who has had class in Benedum or Salk Hall — can thank Canard Grigsby for planning and overseeing the execution of the buildings’ designs. Grigsby, the University architect, reviews almost all facilities management projects involving architecture at Pitt. Before he was promoted in March 2017, Grigsby was a project manager and then a senior project manager. Grigsby is tasked with overseeing the campus master plan — an extensive plan for the University intended to envision what the campus will be like in the next 30 years. The plan — which covers issues such as landscape, traffic, buildings, transportation, housing and sustainability — is in the beginning stages of data collection at the moment. Grigsby anticipates a final plan to reach the chancellor’s desk by September 2018. Though he said it’s too early to identify a specific goal for the master plan, Grigsby explained the financial and environmental responsibility that accompanies the plan’s ambitious scope. Grigsby’s boss, Owen Cooks, is Pitt’s assistant vice chancellor for planning, design and construction. As an interior designer, he understands the challenges posed by attempting to plan such a large-scale proposal. 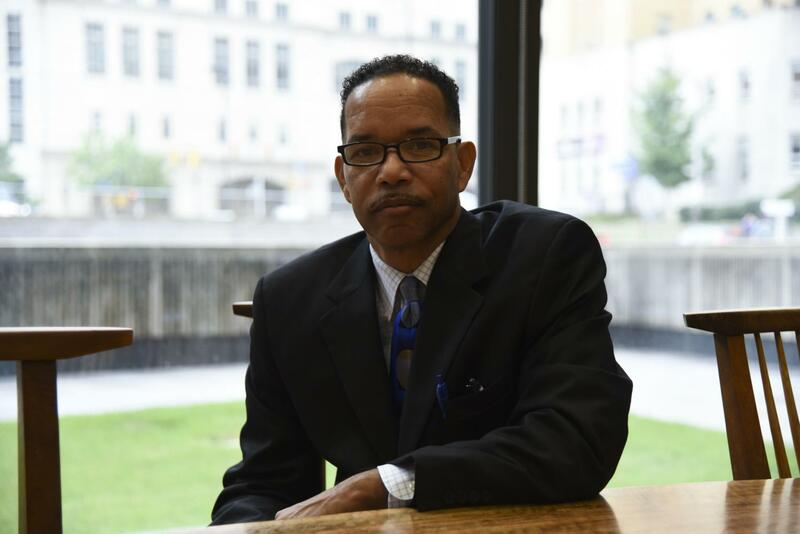 Grigsby started his career at Pitt after working 25 years in private architectural firms in the Pittsburgh area. Prior to working at the University, Grigsby had worked on residential, religious, commercial and primary and secondary educational facilities, but had never worked at the university level. Grigsby seized the opportunity to work at Pitt when he realized it would allow him to use the knowledge of construction and design he gained in the architectural field and to stay in the architecturally diverse city of Pittsburgh — specifically Pitt’s campus. Architect Henry Hornbostel once had a plan to transform Pitt’s Oakland campus into a 30-building Greek Acropolis in 1907, according to a University Times article. But with several different architects making their mark on campus since then, Pitt now is a mix of several architectural waves that have passed through the area since the University’s founding in 1787. Grigsby highlighted some examples — noting that the exposed brick and concrete in Posvar Hall and Barco Law Building follow a Brutalist style of architecture, while Gothic revival style can be observed in the abundance of steep arches in the Cathedral of Learning, Heinz Chapel and the Stephen Foster Memorial. Grigsby considers two of his own contributions to campus, Benedum and Nordenberg, to be among the buildings that don’t fit neatly into any particular style of architecture. Drew Armstrong — Pitt’s director of architectural studies and an associate professor — said modern architecture is not characterized by a single, prevailing architectural style. He views the future of architecture as a collaborative and participatory process, as opposed to one that can be visualized. Ecodistricts — urban neighborhoods dedicated to mitigating the environmental impact of new developments — are one example of a more inclusive architectural effort that involves community input and participation. “Architects can be leaders of those conversations and help people to imagine what their future can be,” Armstrong said. For Grigsby, the next year will involve an intense schedule of data collection, testing assumptions based on the data and synthesizing a master plan into a coherent set of guidelines for Pitt until the next master plan is created. Pitt — along with the architectural firm Ayers Saint Gross — has held two focus group meetings so far to receive input from students and community members.